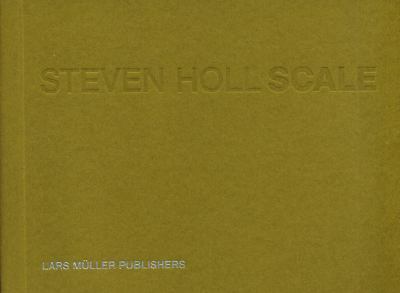 This is the second publication of Steven Holl's legendary watercolors, following Written in Water, 2002. 400 watercolors represent the creative process of this famous and influential American architect. The watercolors show Holl s highly individual method, developed over many years and containing first ideas and sketches of all major projects. Holl is known for his sculptural architecture and his genuine use of light. Both qualities meet the characteristics of the watercolor-technique. This highly artistic work by an architect becomes spectacular at a time of changing working techniques in design - the lowtech attitude allows the artist to concentrate on inspiration and perception. The watercolors are juxtaposed by photographs of the built architecture and emphasize the crucial aspect of scale.